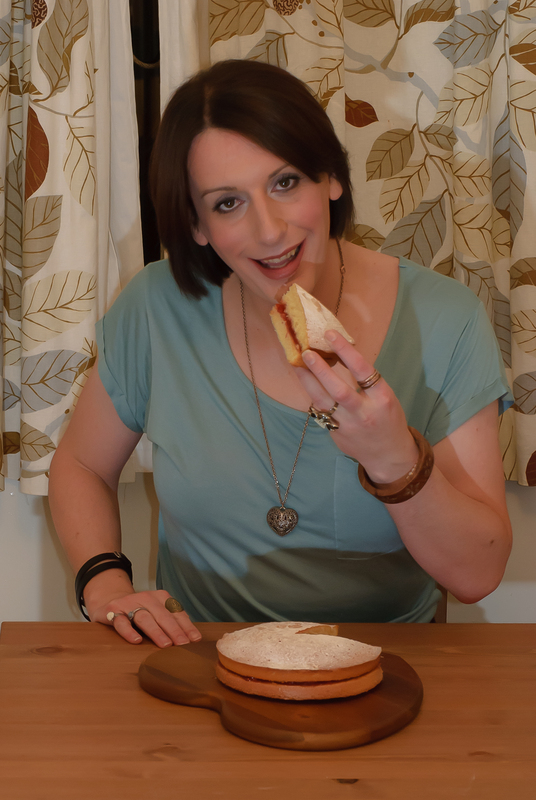 Victoria Sponge, several new outfits and many catalogue poses!! 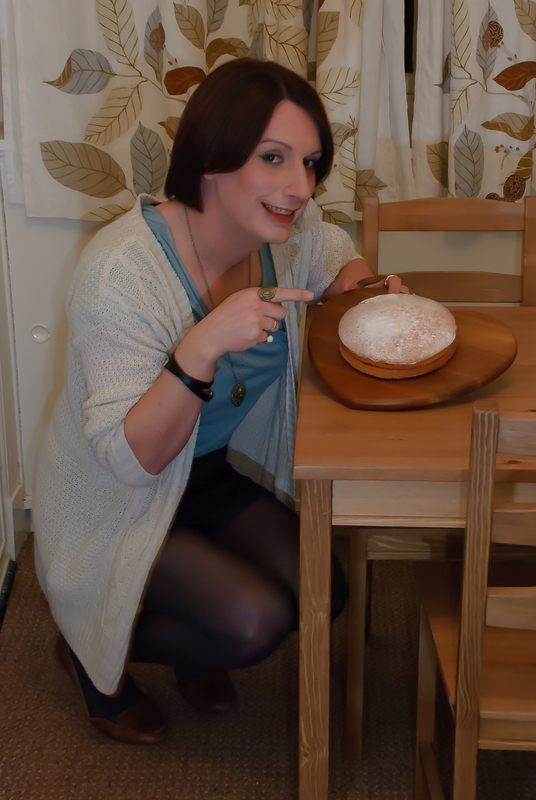 It’s time for my weekly baking challenge! Yeah!! 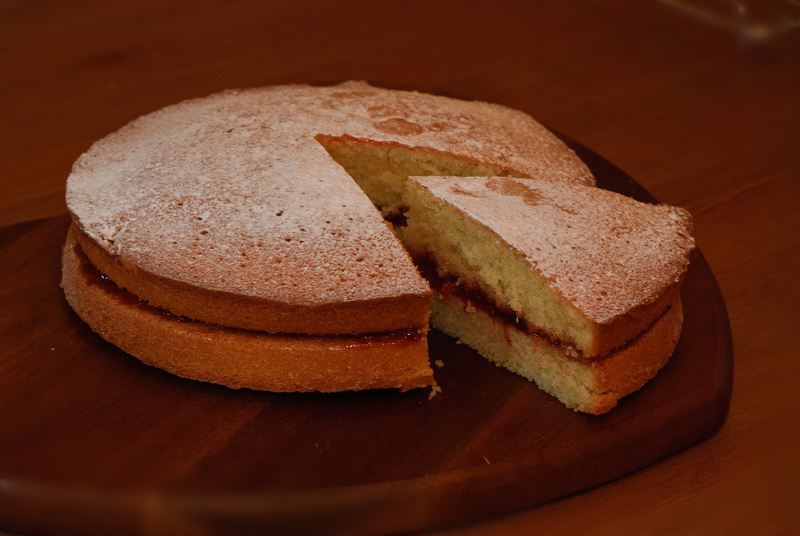 This week I decided to attempt a Victoria Sponge. It went really well again this week and the sponge tastes rather yummy, I would have liked it a little moister but I think that can be easily remedied next time!! Preheat the oven to 180○C/350○F/Gas mark 4. Grease two 20cm/8-inch sandwich tins and line with greaseproof paper or baking paper. Cream the butter and sugar together in a mixing bowl using a wooden spoon or hand-held mixer until the mixture is pale in colour and light and fluffy. Add the eggs a little at a time, beating well after each addition. sift the flour and salt and carefully add to the mixture, folding in with a metal spoon or a spatula. Divide the mixture between the tins and smooth over with the spatula. Place them on the same shelf in the centre of the preheated oven and bake for 25-30 minutes until well risen, golden brown and beginning to shrink from the sides of the tin. Remove from the oven and allow to stand for 1 minute, looken the cakes from around the edge of the tins using a palette knife. Turn the cakes out onto a clean tea towel, remove the paper and invert them onto a wire rack (this prevents the wire rack from marking the top of the cakes). When completely cool, sandwich together with the jam and sprinkle with the sugar. I have been picking up lots of bargains in the sales lately and thought it might be a fun and different way to present my baking adventures this week if I tried on a few things through the course of the evening and took some photos to show you all x In order to decide which of my many buys to wear I decided to narrow it down a lot and chose to wear only my new skirt (Which is a size 10…OMG!!) 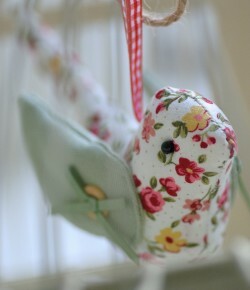 and try out some of my new tops and shoes with it!! In this first photo of me I have everything together, including my new food processor (which I just had to have now that I am taking baking so seriously) and am ready to get going!! Note my new top from George at ASDA, only £3!! With the batter thoroughly mixed and ready to put in to the tins, I suddenly realised that I hadn’t put the oven on to heat up and it was a getting little chilly, so I had put on my cardi and scarf for a while until I warmed up a little x Oh and I changed in to my new moccasins from New look too!! 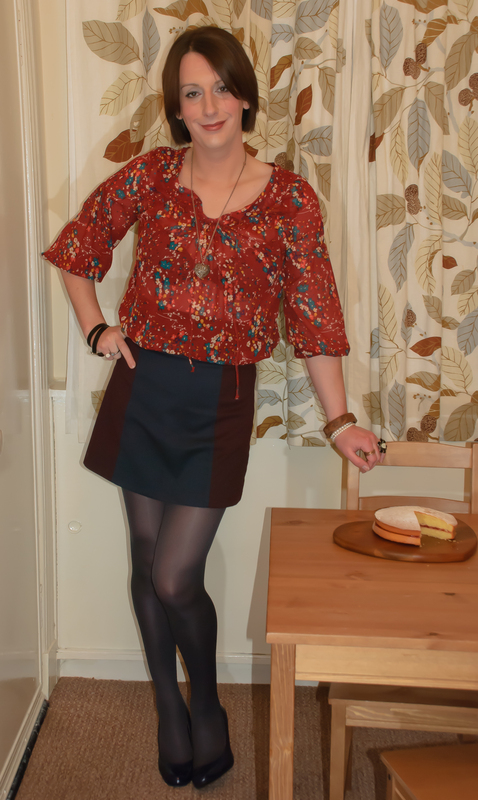 Then finally just hanging out with my cake in a slightly more dressy outfit!! very classy and yummy poses..but you’ll need to wear something a little different and more sparkly if you’re going to start shoogling!! You go girl! !